Asus has announced the launch of Zenbook 3 and Transformer 3 Pro in India. With Zenbook 3, Asus is directly aiming at ultraportables market made popular by Apple's 2015 Macbook while Transformer 3 Pro is more of a Surface clone. Asus Zenbook 3 was first showcased at Computex in Taipei and the 11.9mm thick laptop is now available in India at a starting price of Rs 1,13,990. Asus Zenbook 3 is undoubtedly one of the nicest looking Windows 10 notebook in the market right now. The laptop is built with aluminium alloy and comes in royal blue, rose gold and quartz gray colour variants which makes it premium. Asus Zenbook 3 is also one of the first notebooks in India to come with Intel's seventh generation Kaby Lake processor. Asus Zenbook 3 starts with Intel Core i5 and can be configured with up to Core i7 CPU. There is option for up to 16GB RAM and 512GB SATA SSD storage. The notebook features a 12.5-inch display with full HD resolution of 1920 x 1080 pixels. The display offers 16:9 aspect ratio with 72 percent NTSC colour gamut. The laptop comes with Intel HD graphics and will leave you disappointed if you were hoping for dedicated graphics. Like Macbook, Asus Zenbook 3 offers just one USB-C port and one headphone-out and audio-in combo jack. There are built in speakers designed in collaboration with Harmon Kardon. 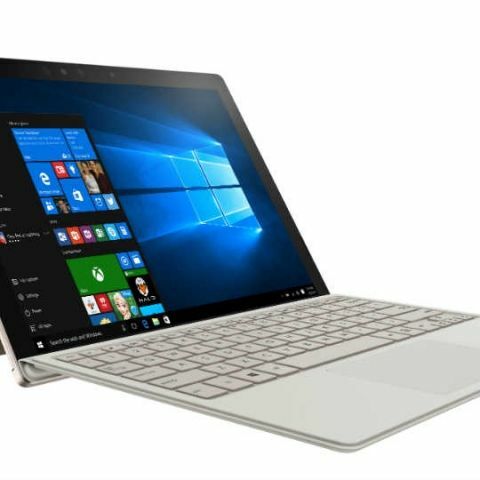 The notebook features illuminated backlit keyboard and the trackpad combines the fingerprint scanner. The notebook features 40WHrs 6-cell battery and weighs around 910 grams. On the other hand, the Transformer 3 Pro is direct competitor to Microsoft's successful Surface Pro 4 lineup. The Windows 10 convertible device again features unibody aluminium metal design. The device weighs 790 grams while the tablet alone is just 8.35mm thick. Asus Transformer 3 Pro features a 12.6-inch 2880 x 1920 WQHD display with 3:2 aspect ratio and 85 percent NTSC colour gamut. The Transformer 3 Pro can be configured with up to 16GB RAM and 512GB SSD storage. The tablet convertible offers one USB 3.0 port, one HDMI and one Thunderbolt port. The notebook also offers one combo audio jack. Asus Transformer will be available in India with Core i5 processor at Rs 110,990 from January 2017. The Zenbook 3 will be available from November 27. Read our Asus Transformer 3 Pro review here.